Home / Couples / health guide / Healthy habits / Lifestyle / It’s a no brainer really. You need at least a king-sized bed for a good night’s sleep! It’s a no brainer really. You need at least a king-sized bed for a good night’s sleep! 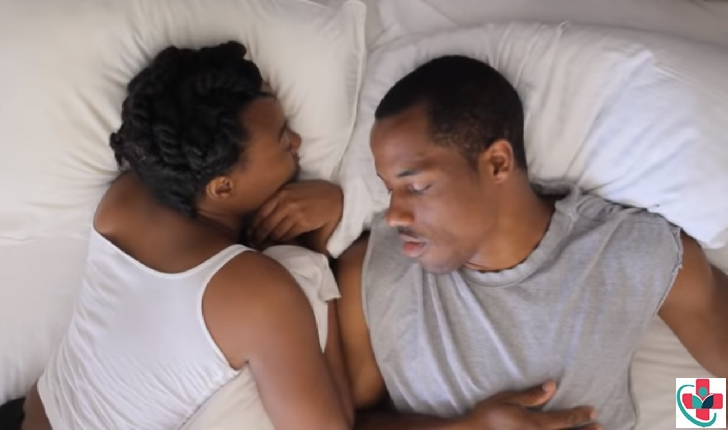 Are you constantly being disturbed by your other half in bed? Do they steal the bedclothes or hog space? SEE: Why Couples Should Always Share a Bed. Partner disturbance is one of the most common complaints about poor sleep. With a larger bed, you are less likely to disturb one another. You should be able to lie side by side, with your arms behind your head and your elbows out, without touching. Because a standard double bed (135cm/4ft 6in) gives each person just 2ft 3in of space – less than a baby in a cot. Now how squeezed is that? Because you spend a third of your life in bed – by the time we are 50 we’ll each have spent some 16 years in bed. If you are going to spend all that time there, why take the trip to dreamland in tourist class when you can go, first class? Because you spend as much as you can afford on the best possible house, holiday, car, kitchen, TV and sound system. So why so stingy when it comes to buying a bigger bed? Because you wouldn’t want to get left behind! Although two-thirds of us still opt for the standard size, larger beds are becoming ever more popular among those with the bedroom space to take one: 33% of the double divan and bedstead sales are now 5ft (king-size) or larger. (GfK NOP Consumer Scope Beds and Mattresses Market Monitor, December 2010). Because the average person wriggles and turns some 60 to 70 times a night – so you want to put as much space between you and your mate as possible to reduce the disturbance factor. Because you may not be as young as you were – or as slim! Because once you’ve slept in a king-size, you’ll never want to be a second class sleeper again! What do you look for in a great mattress? Find out here!